“Westworld” star Evan Rachel Wood asks, what if HBO’s violent sci-fi western was, dare we say, a sitcom? She asked and answered that question Friday with a video posted on Instagram that is set in Westworld but filled with cheery smiles, slapstick ouchies and, yes, skipping. And, of course, it has a spunky ’70s-esque theme song to match. “‘Westworld’ was filmed in front of a live studio audience,” a voiceover announces, as James Marsden’s Teddy flops down on a bench beside Wood’s Dolores. 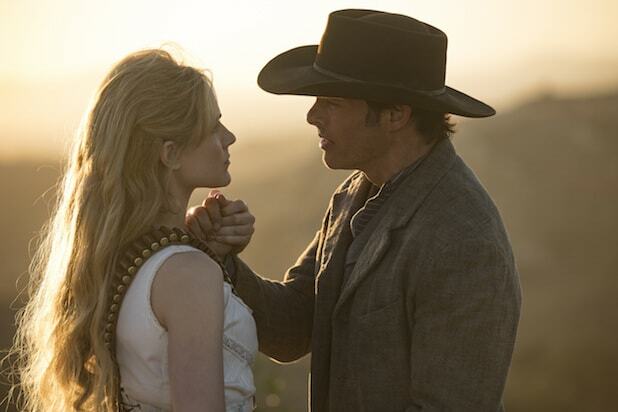 “This is one wild, wild Westworld,” Teddy tells Dolores, causing them both to erupt into laughter. Check out the “Westworld” sitcom clip below, and a look at Wood and Marsden singing their hearts out in the video below that.